How The Vocal Science Method Helps Treat Altered/Damaged Voices caused by Laryngitis! Laryngitis is an inflammation of the larynx that is mostly caused by viral infections due to bodily health changes. Those changes can also be triggered by outside forces like environmental conditions or a lack of maintaining a healthy lifestyle. Laryngitis can also occur as a result of irritation to the vocal cords. Individuals such as singers, pro speakers, cheerleaders or even children after multiple screaming sessions, may find that they become raspy and hoarse after prolonged overuse of their voices. Environmental causes of laryngitis can include hazardous air particles and chemicals such as tobacco smoke, air pollution, dust, mould, etc. Laryngitis can occur to anyone: children, adults, singers, teachers, actors, lawyers, businessmen/women and anyone else who uses their voice extensively (professionally or not). 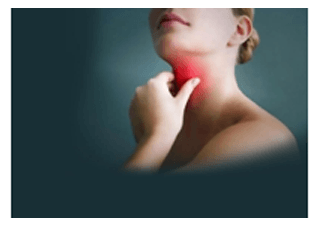 So no doubt, such problems as laryngitis occur as a result of strenuous misuse of the voice, environmental disadvantages and improper care of one’s body – leading to the next stage of reocurring laryngitis known as chronic Laryngitis. If left untreated for an extended period of time, it can potentially & permanently change the quality of one’s voice. Laryngitis can also induce voice changes that may persist even after the major symptoms of acute infection have become resolved. We can help treat many forms of voice damage caused by laryngitis (and chronic laryngitis) with the use of the Vocal Science Program’s unique voice restoration & rehabilitation method. 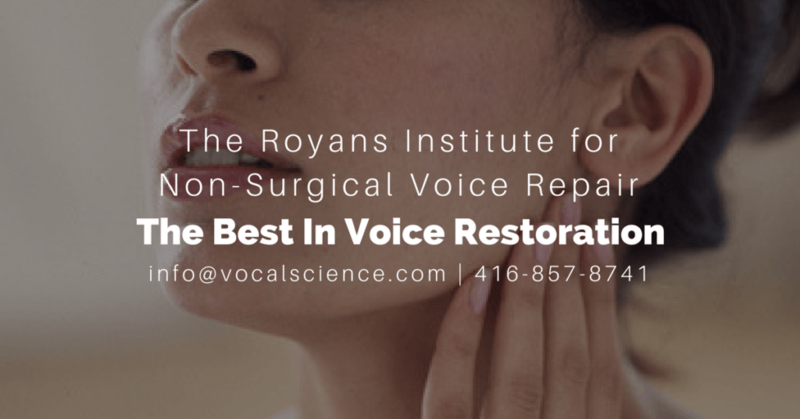 Our unique and revolutionary Non-surgical Voice Repair program will not only help to repair your voice and your vocal box from the dangers of laryngitis, but it will also teach you how to use your voice correctly according to the standards of professional speaking/singing. You will learn how to restructure your voice into your facial muscles – which will minimize the pressure on your vocal cords and your vocal box. By treating the cause, and not only the symptoms of your voice/vocal problems, your vocal issues will never be a problem again… and we guarantee it! Through the application of natural herbs and homeopathic remedies, your laryngitis symptoms (like hoarse voice, raspy voice, sore throat, etc) will be eliminated. Furthermore, once you’ve learned how to use your voice properly (proper technique and the right application of your voice), you will no longer irritate or possibly damage your vocal cords. For more information about other common and uncommon throat, voice & vocal problems and how we can treat them, head over to our services section. If you are suffering from a voice/vocal disorder and are looking for a fast and efficient way of rectifying it, Contact Us.